Trout 27%, Salmon 23%, Pea 19%, Sweet Potato 10%, Potato 8%, Lentils & Herbs 7%, Potato starch, Linseed, Carrot, Tomato, Spinach, Cranberry, Salmon Oil. Vitamins and minerals: Vitamin A, B complex, C, D, E, K Biotin, Beta carotene, Cholecalciferol, Calcium, Chloride, Chromium, Choline, Cobalt, Copper, Folic Acid Iodine, Iron, Lysine, Methionine, Magnesium, Manganese, Niacin, Phosphorus, Potassium, Riboflavin, Selenium, Sodium, Sulphur, Thiamine, Tocopherol, Zinc, plus other essential trace elements. Natural sources of vitamins and minerals. Protein 23.5%, Oil 13%, Fibre 3.5%, Ash 6.5%, Moisture 8%, Omega 6 – 1.21%, Omega 3 – 3.6%. 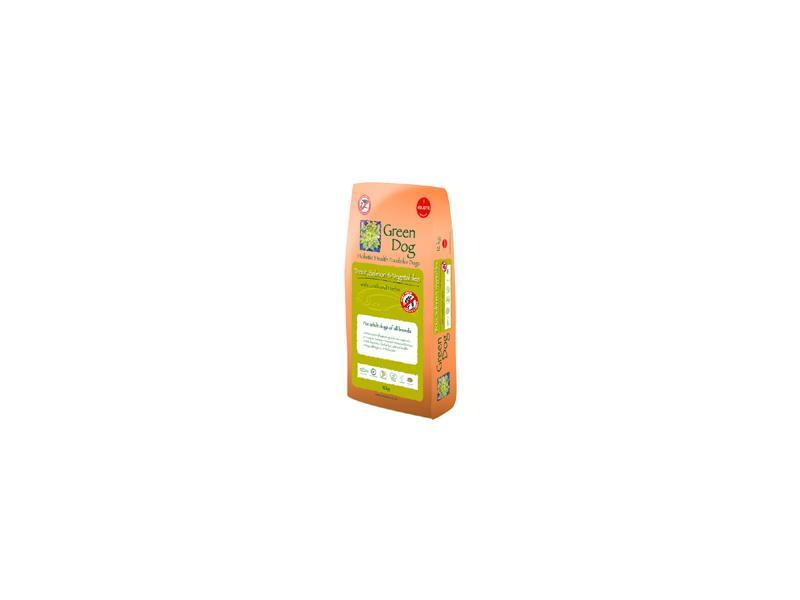 There are currently no questions for Green Dog Food Trout Salmon & Veg - be the first to ask one!